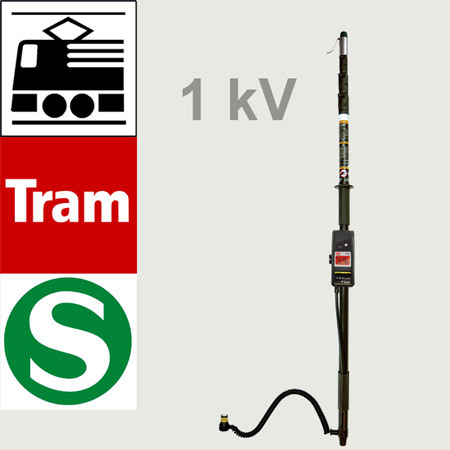 Telescopic voltage tester for fast voltage testing on overhead lines of railways, trams or on feed-ins. 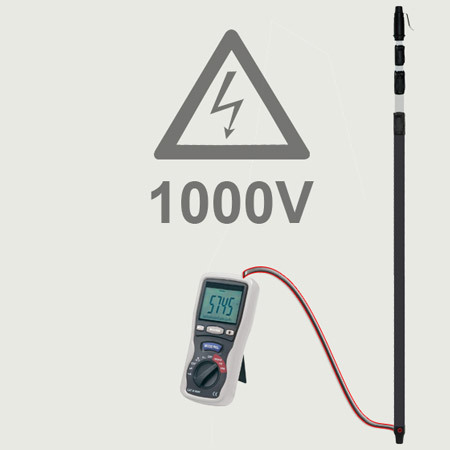 6.2 m telescope adapter for connecting measuring devices with 4 mm socket. 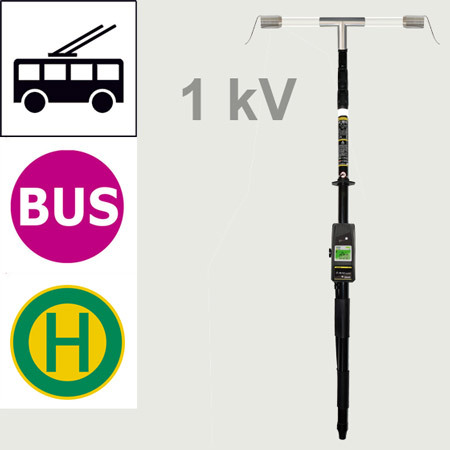 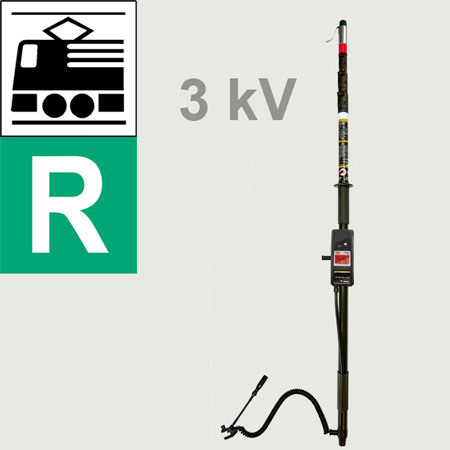 Telescopic voltage tester for trolley buses. 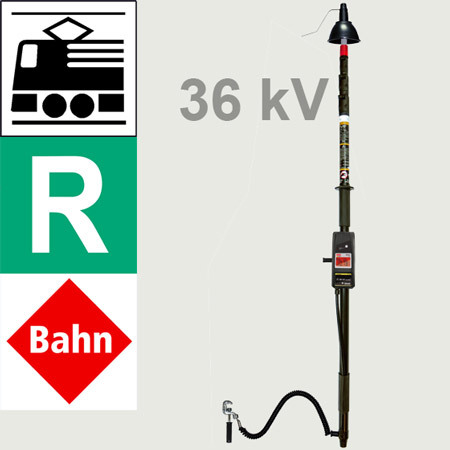 Versions for various catenary distances and telescope freely lockable up to 6,20 m test height.